Normand Roger, who composed the music for all of Frederic Back's films from 1975 on, remembers the late artist on the CBC radio show As It Happens. 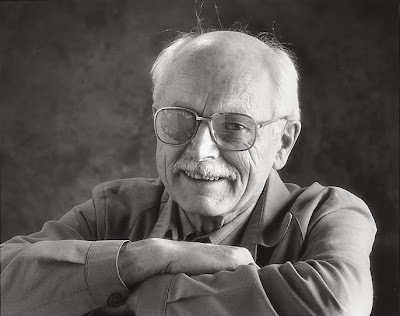 There is nothing to say except that a giant of Canadian animation has passed. There are several animation screenings in Toronto over the next few weeks. 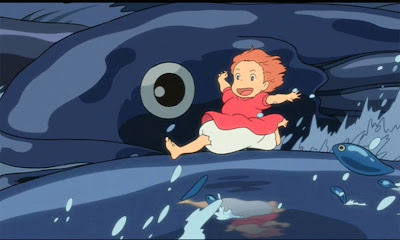 Once again, the TIFF Bell Lightbox is running a retrospective of Studio Ghibli. The films and times can be found here. In addition to the well-known Miyazaki classics such as Nausicaa and the Valley of the Wind, Castle in the Sky, Kiki's Delivery Service, My Neighbor Totoro, Porco Rosso, Princess Mononoke, Howl's Moving Castle, Spirited Away and Ponyo, they are also showing lesser known Ghibli films such as Pom Poko, Grave of the Fireflies, Only Yesterday, Ocean Waves, My Neighbors the Yamadas, The Secret World of Arrietty, Whisper of the Heart and The Cat Returns. Miyazaki's collaboration with his son Goro, From Up on Poppy Hill will also screen. 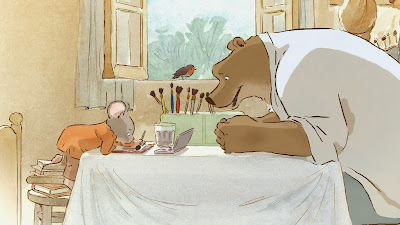 At the Royal, located on College Street 5 blocks west of Bathurst, there will two screenings of the French animated feature Ernest and Celestine on December 27 at 7 p.m. and the 28th at 2 p.m. Information about the Royal can be found here. Of course, Disney's Frozen is still in release and as of today, you can still see The Croods or Despicable Me 2 playing somewhere around the city. Canadian Animation Resources points out the changing demands on storyboard artists. Where once a board artist's job was to visualize the script through drawings, studios are now often requesting that board artists also time the boards or cut animatics including dialogue and sound effects. It should be noted that studios are offering no additional money for these tasks. Software is what makes this possible. When boards were done on paper, the board artist didn't have the tools to create an animatic. Now, with applications like Storyboard Pro, the same software that a board artist draws into can also output a finished animatic. While there is no question that this is convenient, it also allows studios to make requests that were logistically impossible in the past. Just because board artists can create full animatics, should they? Television animation is a strange beast. The person who is the director really isn't the director if you compare the job to the one Chuck Jones had. Jones would have input into the story and design. He would design the characters himself, do all the character layouts, time the animation, supervise the voice recording, work with the composer and have approval of everyone's efforts. This is why a Jones cartoon (and the cartoons of his contemporaries like Bob Clampett, Friz Freleng, Tex Avery, Frank Tashlin, Bob Cannon, John Hubley, and Hanna & Barbera) are so instantly recognizeable. Their personal stamp is on every frame of the film. A director of an animated TV series may have approval over everything, but has no time to do any of the jobs that Jones did. Maybe the director supervises the voice recording, but beyond that, it's mostly giving notes on other people's work. In many ways, the board artist is the de facto director. The board artist is choosing the camera angles and the cutting continuity, two of the main jobs of a live action director. These days, board artists are asked to provide more poses for each shot, so in effect, they are doing the character layouts. If a board artist is also timing the cartoon and placing the dialogue and the sound effects, so far as I can see, that makes the board artist the director of the show. What's left for the director to do except for passing judgment? While the current studio perspective is that editors can be eliminated, why not go a step farther and eliminate the director as well? Doubling the board artist's fee would probably still be cheaper than paying the editor and director. It might also lead to work that has more individuality. Most episodes of an animated series rival the monotony of McDonald's hamburgers. If studios thought more about the content of the work they produce rather than the cost, this might happen. Instead, the focus is on saving money and the place to save it isn't on producer's fees or middle management, it's on the backs of freelancers. In the Canadian industry, with no union and where the sellers (meaning animation artists) vastly outnumber the buyers (the studios), the leverage is all on the side of the studios. There's no agreement as to what a board artist's duties are exactly. The studios are free to ask for anything, and artists are aware that with a limited number of places to work, they don't dare be uncooperative if they hope to keep earning a living. Unfortunately, this is a race to the bottom. How much more will board artists be asked to do for the same old fee? The only possible way for board artists to stem this tide is to say "No." That's a definite risk, but the studios have shown that so long as they are hearing "Yes," they will keep asking for more. If board artists are bleeding now, at what point does it become fatal? Each board artist will have to make that decision, but that decision will affect all board artists. If a few decide to go along and create full animatics, the job of board artist will be redefined. If board artists don't get paid more for doing it, then that becomes the new normal. Proceed with caution. In 1971,Studio Ghibli attempted to get the rights to adapt Astrid Lindgren's Pippi Longstocking stories. Hayao Miyazaki did a series of watercolours as part of the pitch. 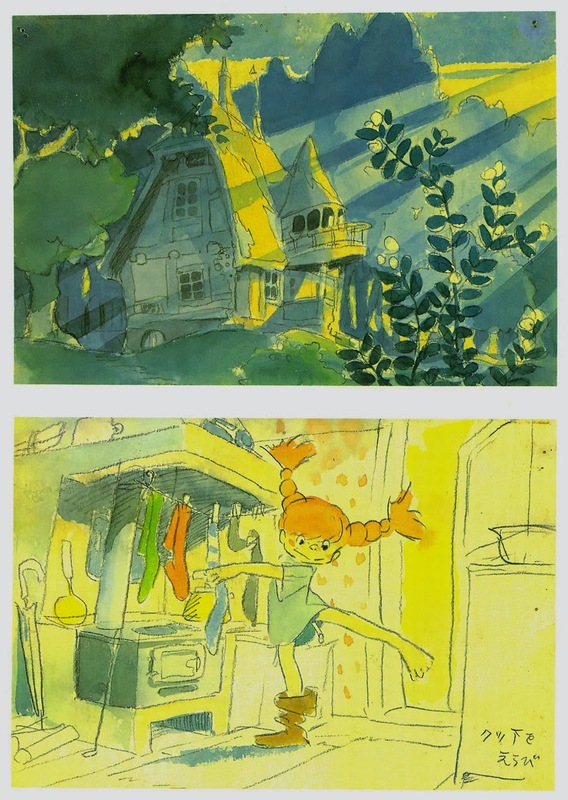 Unfortunately, they didn't get the rights and now we'll never see a Miyazaki Pippi beyond these lovely paintings.